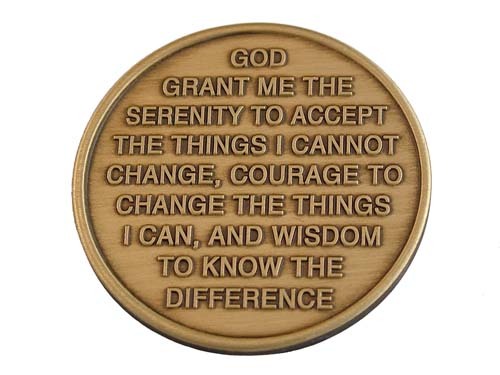 These bronze affirmation medallions mean the world to us sometimes. Seems like they have a way of showing up at just the right moment! 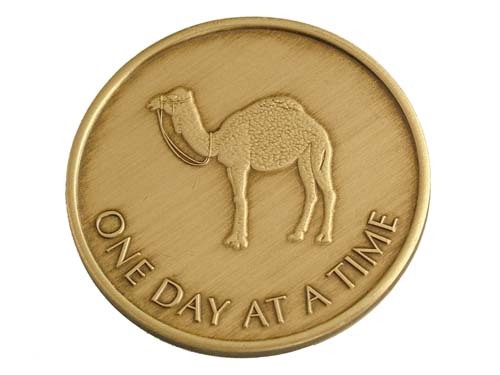 The obverse of this bronze token features the One Day at a Time Camel on the obverse and the Serenity Prayer on the reverse side. A lovely keep sake. 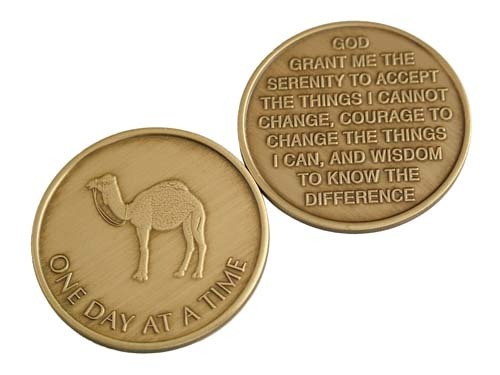 Each exquisitely minted antiqued bronze medallion will last a life time! Treasure these special chips for years! 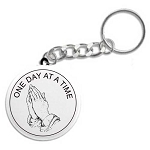 Or, pass them along to someone in need.